Interview conducted by Maria Veits. Maria is a graduate of Bard College and St Petersburg State University. She is a curator and researcher, cofounder of the art organization Creative Association of Curators TOK in St Petersburg, Russia (follow them on Twitter & Facebook). Maria is interested in establishing a cross-cultural dialogue between Russian and Israeli contemporary artists. Currently she is based in Düsseldorf, where she is in the curatorial residency organized by Kunstsammlung Nordrhein-Westfalen. Maria Veits: Sergio, the CCA is the leading contemporary art organization in Tel Aviv. Could you please briefly tell me about the history of the Center and how it was initiated? Sergio Edelsztein: It was a private initiative, mine, actually. In the 1990s, when I started working more with experimental film and performance, I realized that I had to work with other institutions in order to do large-scale projects, so I closed my gallery and together with some friends and support I initiated a non-profit organization that I called the Center for Contemporary Art. The idea was to offer some interesting content to the institutions that had all the necessary infrastructure already, like the cinematheques of Tel Aviv and Jerusalem. They, of course, knew that part of their mission was to show experimental film but they didn’t. So when I suggested to screen a retrospective of Andy Warhol, some Structuralist film, or Matthew Barney’s Cremaster series, they were very happy. MV: Later on you started doing your own projects? SE: That’s right. Then we did a performance arts festival, Blurrr, in the Opera House, which appeared to be so successful that we turned it into a biennial event. The main idea was to change the festival’s location each time in order to get artists to interact with various audiences and merge into different contexts, so Blurrr took place in the opera, and later editions in a kibbutz, the flea market in Jaffa, etc. In Jaffa we did performances both during the night, when it’s almost empty, and on a Friday morning when it’s packed, at the beach and inside various market spaces. In the kibbutz we worked with all the areas – the private houses and swimming pools, the tennis court, the sheep shed, all the agricultural fields outside, because we wanted to activate these spaces and discover their potential. At the time we were a very small team working in the office in the Tel Aviv Cinematheque and kept doing screenings, which turned into another biennial project –Videozone. MV: What was the main principle of this festival? SE: There were two actually. Firstly, it wasn’t based on an open call but on programs made by guest curators. Secondly, we wanted the periphery to be well represented and made sure to show emerging artists, including many Israeli artists and not only well-known Western European and North American names you may see in every other festival. There were also a few programs curated by ourselves where we included mostly Israeli works. Also, we aimed to create an entire zone of shows and screenings that would cover the whole city and cooperated with many art institutions, like the Herzliya Museum of Contemporary Art, the Petah-Tikva Museum of Art and The Israeli Center For Digital Art in Holon. We also were very keen to put works on large TV screen billboards. We did six festivals but then discontinued both Blurrr and Videozone. First, it was the growing costs, production, catalogues – and it all started to be too much work for our team of 6 people. And besides, I felt like the festival format had reached a crisis point and we had to change it. MV: Did getting the building also affect this decision? SE: Partially. We found it when we looked for a venue for Videozone in 2005. After the show the municipality suggested that we stayed here, which was a big relief because we didn’t have to pay the rent. Having our own space changed our work – we started to do shows that were based on serious production and the festivals didn’t fit into this concept anymore. MV: And what is your exhibition and curatorial policy? Is there a specific curatorial path that you follow? SE: Well, there are two different lines in a way – local and international. Regarding the local community, we focus on artists that have been around for a while. These are artists in their late 30s, which is young for Israel because they go the army so before 32-33 nobody starts doing any art seriously. We are tying to give them their first comprehensive show and first catalogue. The show is normally based on a totally new production that can be more ambitious than what they could do on their own. A solo show here gives many artists a chance to be exposed to a wider audience and get a larger response, as well as international attention. 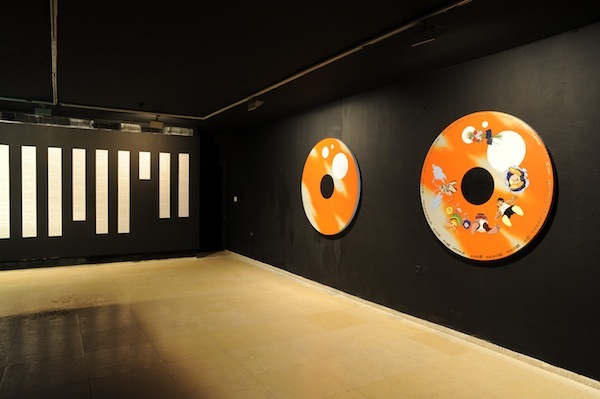 Artists like Nir Evron, Dana Levy, Guy Ben-Ner, Yael Bartana or Roee Rosen who have become internationally acclaimed artists had their first show here, which was larger than a gallery exhibition. Of course, it’s not a museum show, not a mid-career retrospective but something that really shows what these artists can do. In terms of international art we have a different idea and work mostly with mid-career plus artists that are very well-known but have never been shown in Israel before, like Gary Hill, Marina Abramovic or Sharon Lockhart. It is very important for us to bring international artists here so that they can meet the local community. MV: Do you also work as an independent curator? SE: Not much. I try not to. I did a very big show in Spain because they asked me – if a Spanish museum asks you to do a show it’s hard to say no. 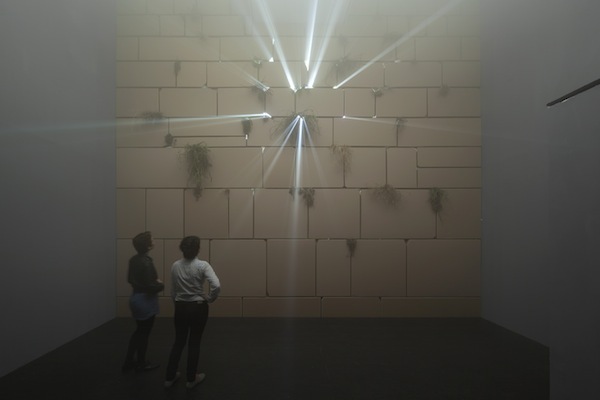 And of course the Venice Biennale – I curated the Israeli Pavilion twice, in 2005 and 2013, and in both cases I was chosen by the artists – Guy Ben-Ner and Gilad Ratman. MV: You are saying the festival format is in crisis. What about biennials? SE: It depends. I talked mostly about a video festival, which is a very special case, not a biennial. You see, the biennials have become a part of the industry; they are not so much for artists anymore but rather for sponsors and tourism. We all are part of the industry because we feed it. On the other hand, they give us a good opportunity to see lot of art and artists that we wouldn’t otherwise see. I think the Venice Biennial is in the end the only one that stayed with the idea of national representation. Just a few years ago such biennials, like Sao Paulo or Istanbul had national pavilions. They don’t have them anymore but the Venice Biennial still keeps that format. And for the first time I feel like I appreciate the fact that there is possibility to see how a particular country or a society reflects upon its own art. I think it’s interesting. Nobody would deny that there‘s crisis in the format but nobody really wants it to be somehow resolved. Because its function is to bring people to cities and regenerate the urban reality. MV: Speaking of biennials, you probably know that Manifesta 2014 will take place is St Petersburg. SE: Of course. Not just in St Petersburg but in the Hermitage. What do you think about it? MV: Well, it may appear that Manifesta is in quite a tricky situation here because recent laws and regulations in Russia have led to the situation when many artists want to boycott it and the whole art agenda in the country is not really favorable to showing something political and social, whilst it has always been very crucial for Manifesta to deal with edgy sociopolitical questions. But I think it’s great that it takes place in St Petersburg, this is such a controversial place now that it’s a very good location for the show. We’ll see. But let’s speak more Israeli art – what do you think makes it special? SE: It’s a huge scene even though it’s a small country. I can’t talk for everyone but for me the interesting art being made here is on the one related to political reality and identity. It’s an interesting situation and also quite unique – everybody is an immigrant, the political situation with Arabs, asylum seekers, religious people is very complicated, it’s a mess. So it gives a fertile ground for artists to work with. Even more – if you don’t work with all that and you live in Israel, something must be wrong with you. You can’t really paint flowers, you know. I think that Israeli artists, even if they don’t live here for a very long time, like Yael Bartana or Omer Fast, still carry something that I call a feeling of urgency in their artistic DNA. They need to react to what’s happening here and in the world. 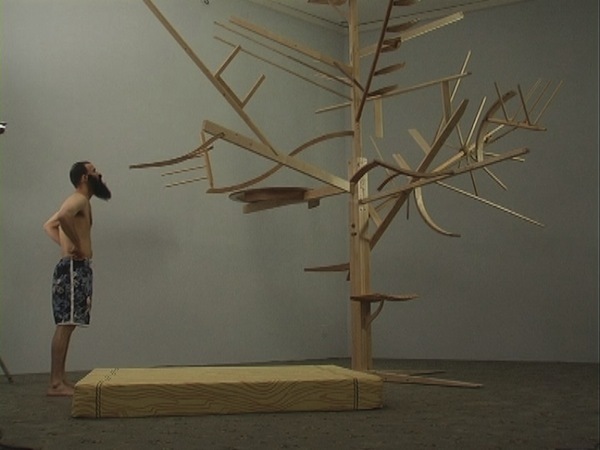 For instance, Omer Fast works a lot with the theme of the Afghan and Iraqi wars. I think it’s very important for Israeli artists to reflect on what’s happening around them. It can be more or less political but that’s a default. MV: Can Israeli artists be critical in their works? Like really harsh about the government policy? SE: There are definitely no sacred cows here. Sometimes when we show something abroad people react like: “You really show that about the soldiers and they don’t shoot you on the spot?” From that point of view there’s no censorship. MV: Let’s go back to CCA. You have a very extensive educational program that also includes curatorial studies. MV: So why are you closing the program if it was successful and in demand? SE: We are trying to move on and work more with children and schools, engage more pupils into the appreciation of contemporary art. For that, we use our own resources such as a large video archive here, which has more than 4.500 titles. It is very accessible, people can come and see any works they want. Based on the archive we organize various screening programs and also try to connect them to the public school curriculum. For example, children at school work on some particular theme and we make a program of videos from the archive that also reflect upon the same theme and invite them to watch these videos here and discuss them together with the artists. We are interested in expanding the audience of contemporary art in Tel Aviv so working with school children is one of the ways to do this. 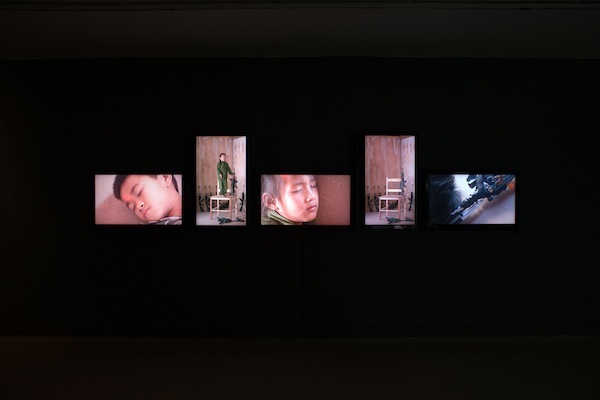 And it’s quite easy when it comes to video art because children are very much used to its visual language. We also do courses for art school teachers, who we teach about video art, contemporary art practices and Israeli art in general. 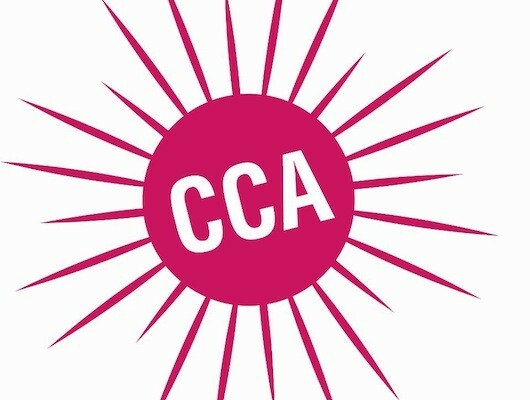 MV: How do you see the CCA in five years? SE: I see it as a proper institution, which can operate without my constant presence here. Hopefully we will manage the fundraising to enable us to do more ambitious and large-scale projects with artists. I would also like to expand our outreach to children and youngsters. So that part should be elaborated. All the paracuratorial aspect can also be increased – lectures, panels, we could be doing more of those. But the most important thing is to create a public for such events. MV: This is what I wanted to ask. I think this is a very important issue for most art institutions – the audience. Who is your audience? Your openings are packed, when you do lectures and other educational events, there are also quite a lot of people but these are the art people. Do non-art people come to CCA? SE: Sometimes, especially after there has been an article in a newspaper because this still works best, though Facebook also helps. Still, we are a very young institution, so many people still don’t know that we exist. However, the audience is still a question mark. On the one hand, there’s not enough audience, on the other hand, some institutions have way too large a public. Like, the Tate. It is so packed that you cannot see the works properly. I think it’s the same problem – you want to have big audience, but not too big. The first time I thought about it was when we did Blurrr at the flea market in 2005. We always did a lot of PR for this event but we were always very unlucky, because there would always be a terrorist attack a week before the event, so all the news was about that. Then one year nothing happened and we got huge media coverage. The weather was great and tons of people showed up at the Jaffa flea market. So there was one performance that didn’t actually predict such a large audience and therefore didn’t work in the end, because there were too many people and no one could see anything. This is when I realized that the problem with the public is ambivalent – too many people is a problem as well. At CCA we are in the middle. We are trying to have more, but not too many.